A watch is one of the most used gifts for men, since it is an accessory that every man usually uses. However, we find watches of all kinds, from the plastic wristwatch to the gold, through smart watches or other types of increasingly less common watches such as pocket watches. And although you can look at the time on the mobile, a watch is also the ideal complement for any man, so do not miss the best watches for men tips when choosing a watch for men. Do not know what clock to choose? Pay attention to these recommendations to find your ideal watch. It is not a question in vain, since according to the budget that you are going to allocate to the watch you will have more or less options. Here we find everything from watches for € 10 ideal for sports to exclusive watches that can have several zeros in the price. One of the premises when buying the watch is not to spend what you do not have, that’s why many people save to buy a watch; and there are even those who prefer to give up an impossible watch and settle for an imitation one. When you have the budget clear, you must be clear about what use is going to be given to the watch, since it is not the same watch for an executive as for a man who spends the day biting into the work or for a high school teacher. According to the use of the watch we will choose some materials or others, since if it is easy for the occupation of the wearer to receive enough blows, we will have to opt for a watch made of a shock-resistant material. On the other hand, if it is for the office, we can look for something a little more sophisticated since the risk is lower. Thus, titanium or stainless steel watches are a very interesting option for men who in their day to day can hit the clock with a certain frequency. In contrast, precious metals are a good idea for a watch that will be taken to the office. In the case of athletes we can also lean towards a white gold watch, although there is a risk of damaging it with a blow. Another possibility is to give a watch for special occasions. In that case it will have to be a good watch, of materials such as gold or other precious minerals, leather strap, etc., a complement that stands out every time the man puts it on. We talk about special occasions such as weddings, baptisms or communions, awards ceremonies, etiquette dinners, etc. 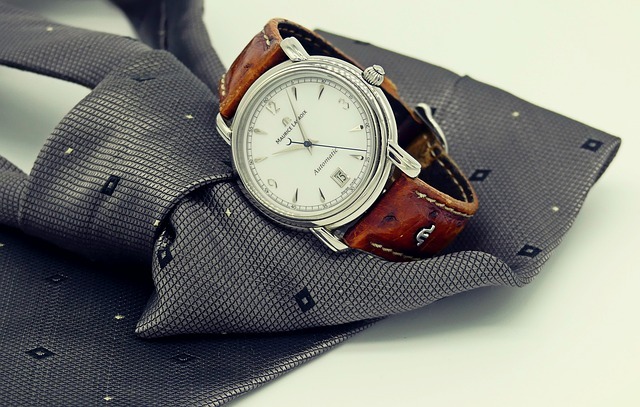 It will not be a watch that shows regularly, but it will do so by combining it with different types of suits at certain times in which choosing the watch is not so easy. That something is fashionable does not mean that we all have to buy it, but the trends in the world of watch making speak of increasingly larger clocks. If until recently the watches with a sphere of 36 mm. they were considered large, now they fall into the category of small, and the most common is to find watches with spheres of 42 or 44 mm., even reaching 48 mm. They are usually watches with a sporty touch, although they have the problem that according to size they can be very striking. If the watch is for a discreet man it may be preferable to opt for a smaller watch, of those 36 mm. It is also important to consider the size of the hand and wrist of the wearer, since a small watch can look somewhat ridiculous on the wrist of a man with large hands and forearms developed while a 44 mm watch. It can be something excessive for very thin men, with small hands. Do you want to become a true gentleman? Follow the best tips to choose a man’s suit and choose the one that best suits you. With a suit and an elegant watch you can surprise people around you on any occasion.